The idea of open government supposedly enforces government to be more transparent and gives way for public to participate. How might that look like? 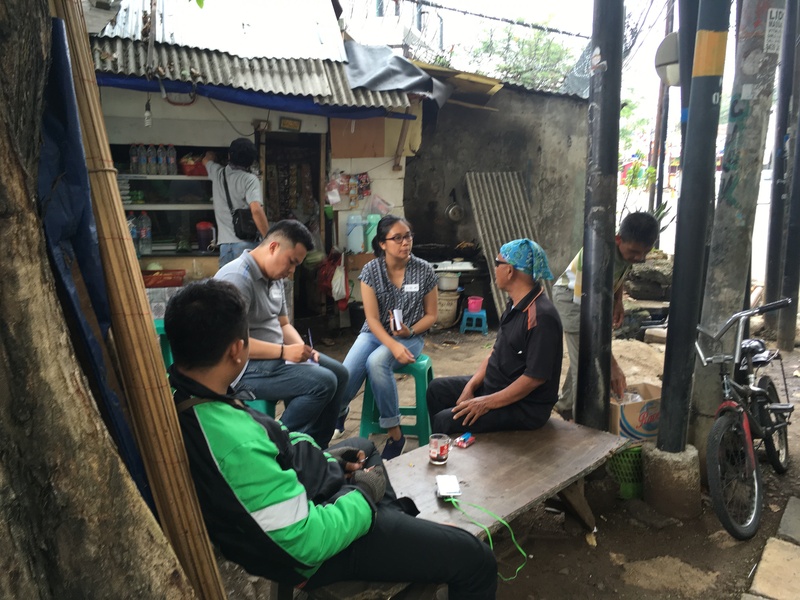 We worked closely with Kantor Staf Presiden (KSP) and Open Government Indonesia (OGI) to brainstorm ways to exercise collaboration between government and public participants. 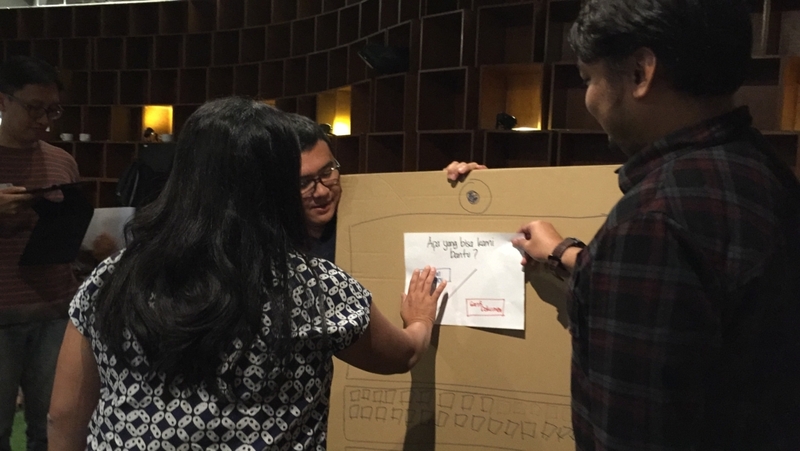 Learning from our experience running jams and design workshops, we came up with OpenGov Jam. 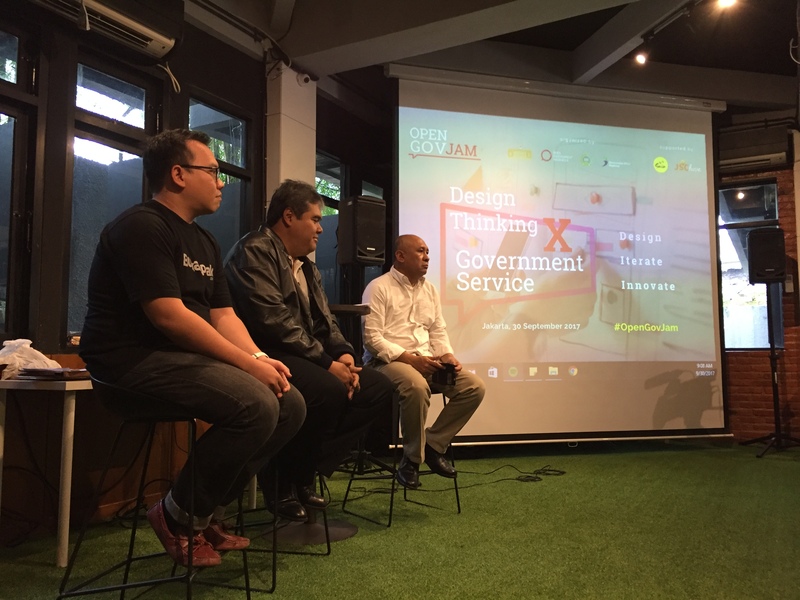 OpenGov Jam was set as an experiment to introduce Human-Centered Design approach for bridging public aspiration with government policy. The topic was focused on “Government Digitalization: Transforming Better Interaction and Public Services”. This was selected considering general public would be able to relate from their own personal experience. We invited people from various background, including government, private corporate, startup, activist, media, and general public. Within days, hundreds of people signed up. We were happy with the positive response, but for this first event we decided to keep it small. Around 40 people participated in OpenGov Jam on 30 September 2017. Divided into 8 teams with mixed background, the participants went through the design process. Facilitators from Somia and our fellows (Pulse Lab, Open Data Lab, and Jenius) were spread to accompany each team. For one whole day, the teams did research, brainstorming, prototyping and testing solutions to address issues related to government services. The 1-day event resulted in 8 prototypes of solution addressing issues in citizenship, public services, and policy dissemination. The solutions were presented to gather feedback from panelists representing private sector (Google, Accenture, Tokopedia), government (Dewan TIK Nasional, KSP, Bappenas, Kemenkominfo) and non-governmental organization (Asosiasi e-Commerce Indonesia/iDEA, RUJAK center for Urban Studies). The solutions were then taken on by KSP and OGI to follow up further to push actual innovation in the government. Most importantly the takeaway from OpenGov Jam was that collaboration between government and public could be made possible. We were genuinely grateful for everyone who volunteered their time and energy to take part in OpenGov Jam.